1. 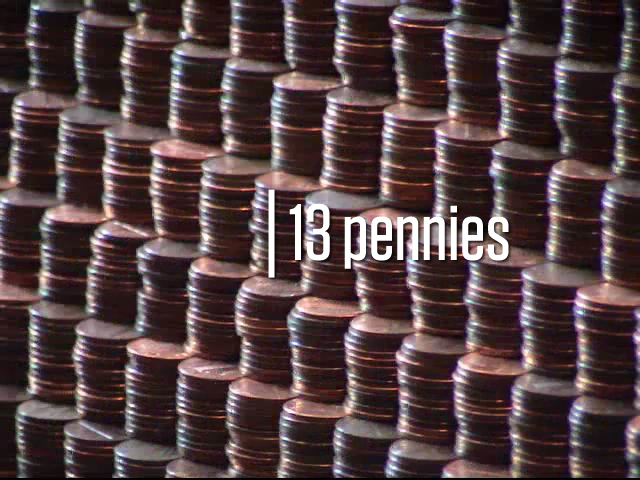 How many pennies are there? 2. Guess as close as you can. 3. Give an answer you know is too high. 4. Give an answer you know is too low. 5. What information will you need to know to solve the problem? 6. 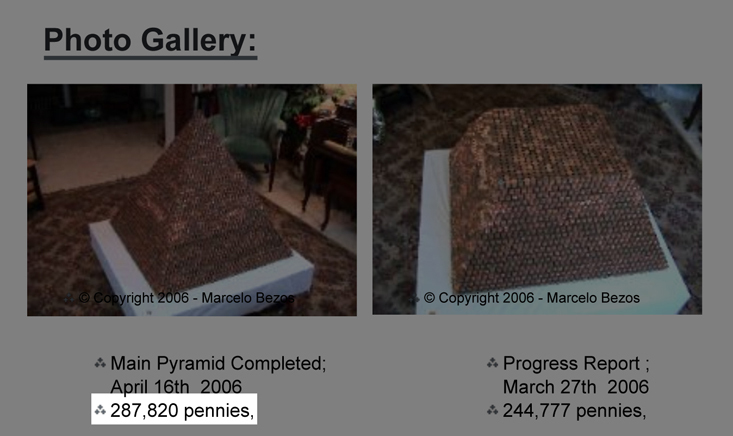 I have $1,000,000.00 in pennies, how big of a pyramid can I make? 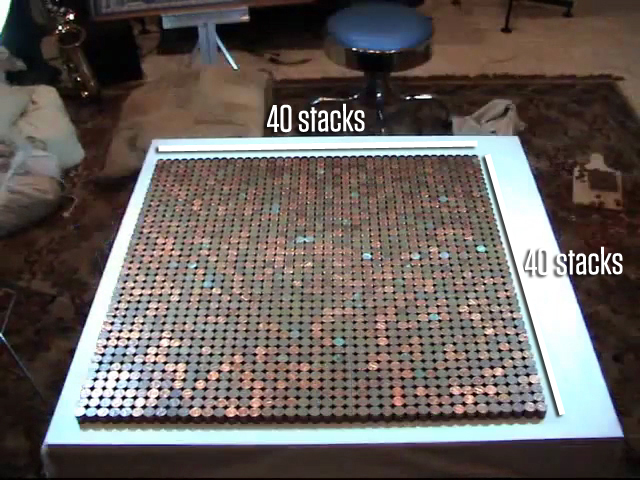 where s is the number of pennies in a stack and b is the number of pennies on one side of the square base of the pyramid. Does this work? If so, prove it. 9. The Wheat and the Chessboard problem. 10. 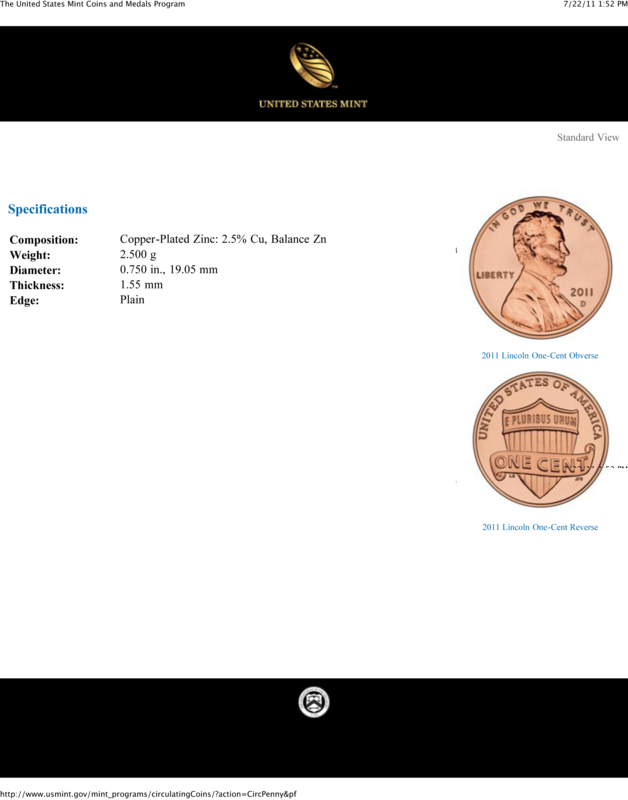 Give groups of students a dollar in pennies. 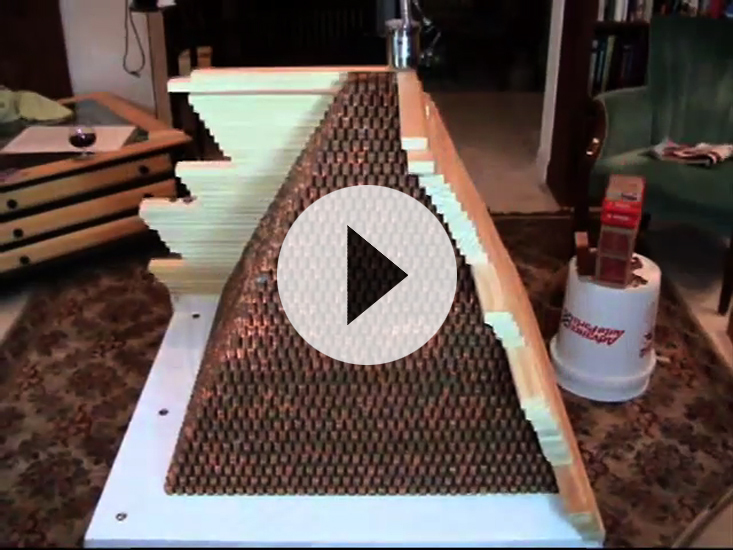 See how fast they can assemble seven stacks of thirteen pennies. 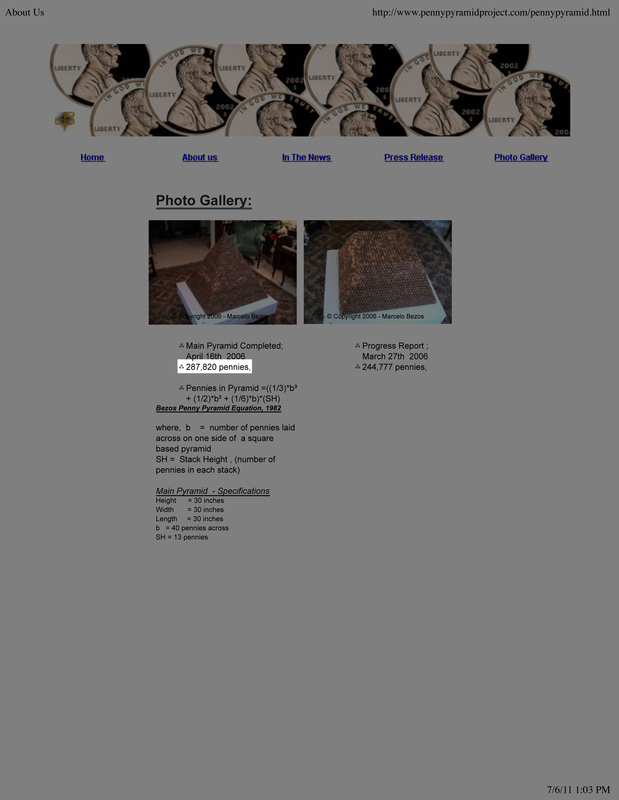 Then ask them to use that as a sample to determine how long it would take them to build the entire pyramid. 11. If Bezos now wanted to add more levels to the pyramid, what's the best way for him to do that? 12. How heavy is the pyramid?